Convergys.com Reviews – Legit or Scam? Convergys, found at www.Convergys.com, is a business process outsourcing company which specializes in outsourcing the call center functions of their client businesses to work at home call center agents. Convergys claims that they have been a leader in customer management for over 30 years, and they specialize in helping companies find new ways to enhance the value of their customer relationships and deliver consistent customer experiences. Unlike many other work at home employment opportunities, if hired by Convergys, you will be considered an actual employee of their company, and depending on the position, may even qualify for benefits. Lionbridge Reviews – Legit or Scam? Lionbridge claims to be the leading provider of translation, development, and testing solutions that can help their clients create and manage their technology and web content globally. Lionbridge prides itself on being a globally active corporation, with 50 offices in 26 different countries, and thousands of support workers spread throughout the world that help them achieve the goals of their company and their clients. Founded in 1996, Lionbridge offers a wide variety of technology based employment opportunities, including standard career opportunities within their corporation, as well as translator and translation jobs, freelance interpreter jobs, and work at home opportunities. CloudCrowd Reviews – Legit or Scam? CloudCrowd (www.CloudCrowd.com) is a new outsourcing, work at home agency that is taking a unique approach to freelance work. They provide their workers with small tasks, that are manageable in a short time frame and therefore easy to fit into almost any schedule, and they pay you the following day for the work you’ve completed. Companies provide CloudCrowd with projects requiring a variety of services that range from language translation to writing and editing to online research, and more. CloudCrowd then takes these projects and breaks them into smaller, easier to manage tasks. They then list these tasks on their job pages. Arise.com Reviews – Legit or Scam? 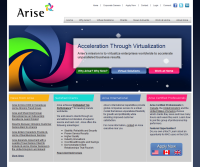 Arise.com is a company that offers independent contractor job opportunities to people looking for work from home positions. An independent contractor is not a traditional employee. ICs are contracted to work for a specific company, performing designated duties in exchange for a pre-determined hourly pay rate. However, taxes will not be taken out of your paycheck, though the company you work for will be claiming you on their taxes, so make sure to put aside enough money from your checks to pay your dues at the end of the year.